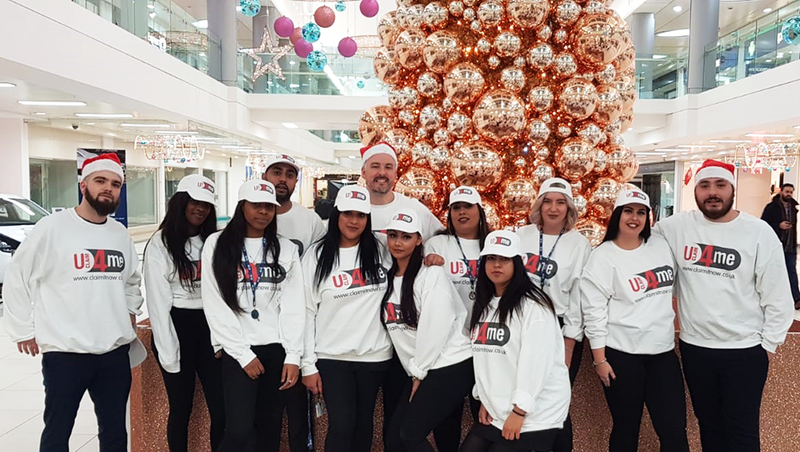 With the hustle and bustle of the festive season upon us, UClaim4me was delighted to sponsor the switching on of the Christmas lights ceremonies in and around Wolverhampton in November 2018. The main event took place at Queen Square and attracted thousands of visitors ready to get into the Christmas spirit. The day was filled with many festive activities, all running up to the Christmas light switch on by Debbie McGee. Visitors had an opportunity to enjoy a free screening of The Greatest Showman hosted by Signal 107, and to get their Christmas shopping started at the festive market on Dudley Street, and attend the Harry Jones Funfair and more. At 5pm the stars from this year’s Sleeping Beauty pantomime, the Mayor of Wolverhampton, Councillor Phil Page and Father Christmas took to the stage to switch on the Christmas lights and wish everyone a Merry Christmas. UClaim4me would like to thank the organisers for a truly fabulous event and send our warmest Christmas wishes to all our clients, friends and colleagues.